Tony is all about gaming, anime, and cosplay. Sierra finds a great balance in her interests, shopping and socializing. For both, this was their first year attending in cosplay. 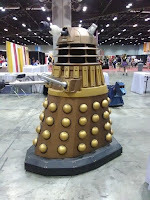 Both had a self-imposed mission to find like-minded attendees, and the element of costume made this abundantly easier. Being able to instantly recognize a shared common interest by noting similarly attired guests, or people with an appreciation of something else they enjoy opened doors that are typically closed in the real world when you suffer from certain social phobias or awkwardness. 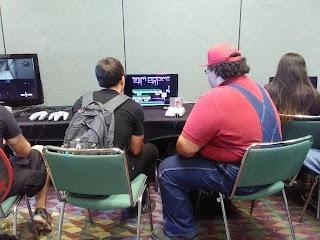 The added inclusion of the free-play retro arcade, speed dating, and card tournament zones created additional opportunities to connect with new friends. 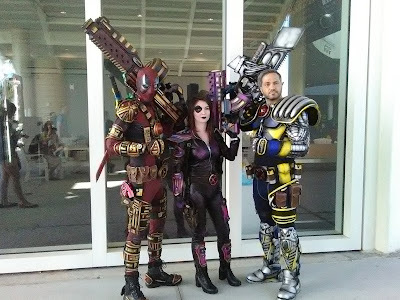 MegaCon is also famous for its many meetups and categorized group photo shoots, often organized by attendees hoping to coordinate bonded group events over a mutual interest. Cosplay transcends the social experience, however. From painstaking creations proudly paraded by fellow attendees, to the next-level setplay and intricately detailed transformations exhibited by pro-team convention regulars like CosACommotion and the dynamic duo of Cecil Grimes and Richard Dixon - creativity was front and center throughout the weekend. One of my favorite MegaCon activities is just finding a spot to sit for a while, watching the cosplayers pass and gather. If you want to take your cosplay observing a step further, spend a day on a scavenger hunt! I had a great time seeking out my favorite super heroes for photo ops throughout the vendor floor, and it opened up the door for some fun conversation. I was lucky enough to catch the Green Arrow hanging out in the new Cosplay Photo Park, where guests could take fun and dramatic posed photos with enhanced background scenes. When it comes to shopping, MegaCon is an event worthy of its own forced savings account. The problem isn't in the pricing of the items for sale... the problem is how much of it you'll want. 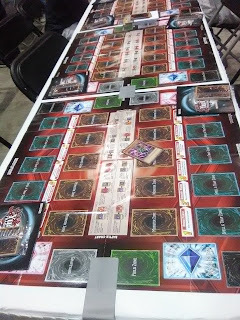 MegaCon vendors represent an incredibly broad scope, and much of what they peddle cannot be readily found at your local Wal-Mart or even on top retail websites. Products range from handmade originals to popular collectibles, and convention pricing is typically dropped from the merchants' normal rates. If you're looking for that hard-to-find Pop vinyl, or rare memorabilia related to your favorite underground anime - you're likely to find it here. 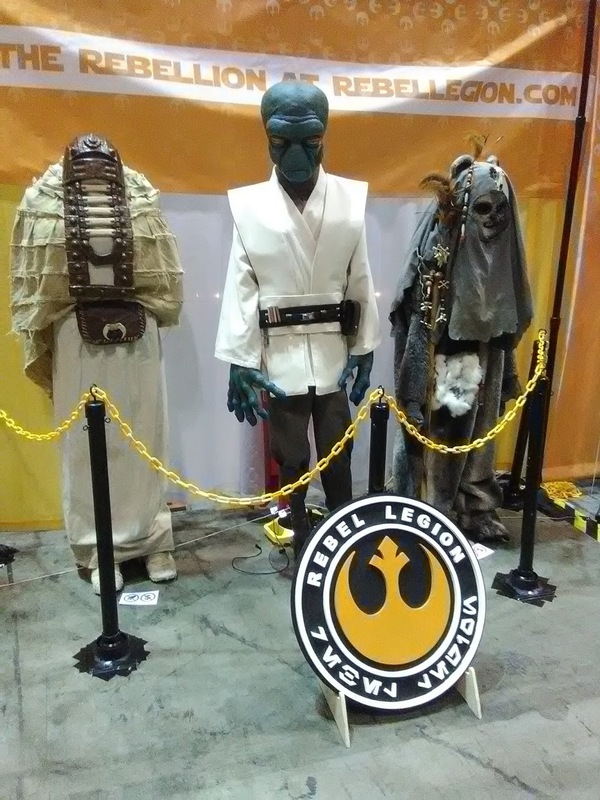 The vendor floor also features unique experiences and charitable presence. 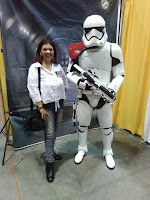 Get your photo taken with the Batmobile thanks to Broward Batman or shoot a Stormtrooper - both for a good cause - or learn how you can help the fine folks at Transfiguring Adoption. Did you happen to catch the brilliant Back to the Future experience at this year's event? Some celebrity guests opt to take part in pro-photo ops and/or Q and A panels. These are fantastic opportunities for a little more interaction with the celeb guests, and perhaps the chance to get your own questions answered by a star you admire! Photo op prices vary by celebrity. Q and A panels are free to sit in on, and to ask questions - but be forewarned... high-profile guests (those scheduled for panels in the larger meeting rooms) will often illicit long lines. 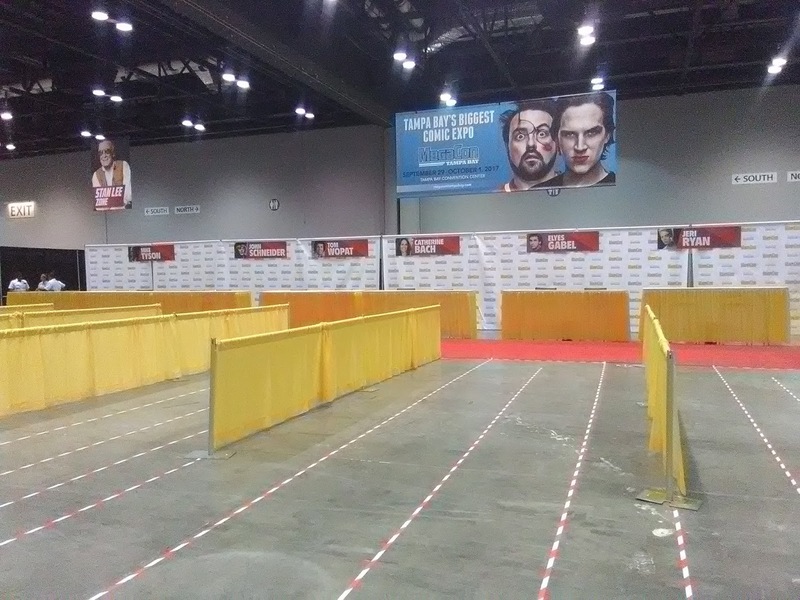 For example - if you have any intention of seeing convention favorite panelists like William Shatner, John Barrowman or Stan Lee - plan on arriving WELL before the scheduled start time. Some lines begin to build more than 90 minutes in advance. The event schedule is released about a week or two before the event. USE IT and plan ahead! Considering that many panels overlap, prioritization is key. I tend to frequent the panels. Not only do they provide great coverage, but being a fan as well, it's a wonderfully unique opportunity to learn fun new facts about the people and stories behind the characters and storylines. This year, my panel attendance was minimal, but rich! Immeasurable kudos to Scorpion's Elyes Gabel and all-around geek "it" girl Felicia Day for being ridiculously candid, entertaining, cordial, and humble. However, it's not just the celebrity panels that are worth attending. 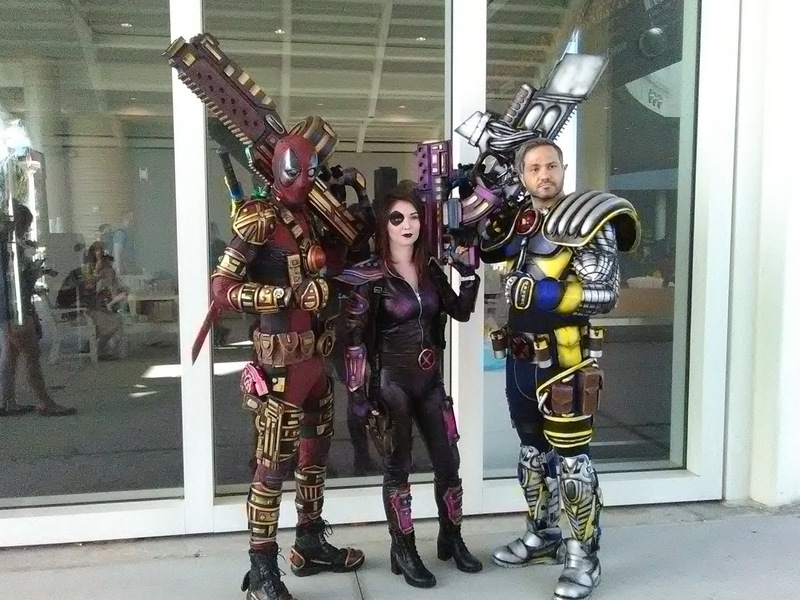 Throughout the weekend, take note of the numerous panels and workshops focusing on cosplay techniques, animation and writing skills, and genre exploration. 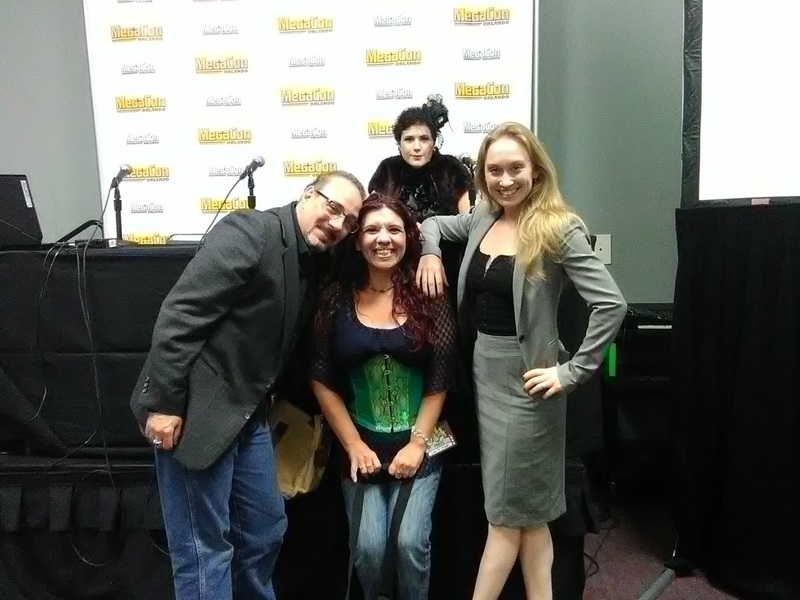 I was fortunate enough to catch "Rise of the Horror Novel", hosted by Central Florida Steampunk Association's Delaney Anderson and Phantasmagoria's John DiDonna and Dion Leonhard DiDonna. Panels and workshops are a glorious way to catch a little rest from all the lines and walking, while taking some time to discover new layers to some of your interests or curiosities. 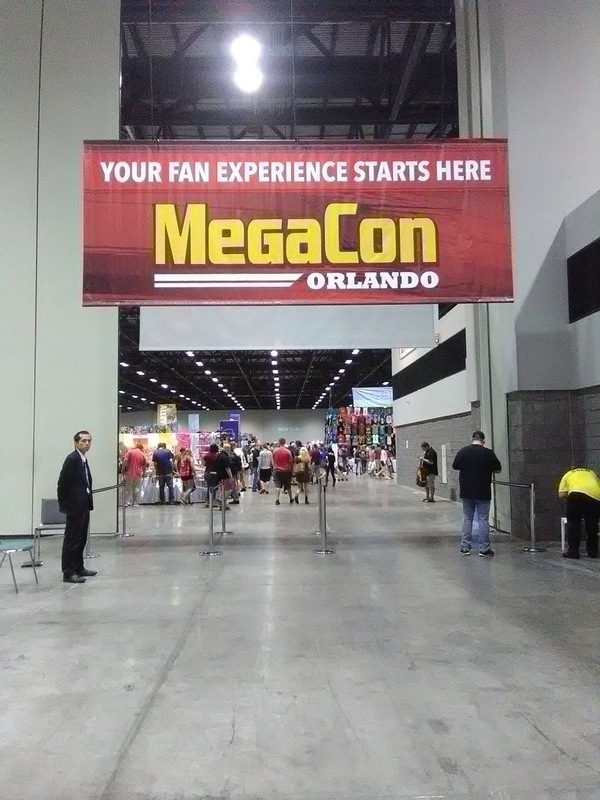 MegaCon shifted locations from OCCC's north side to the south for the 2017 event. I have to admit - on day one, I hated this. It threw me for a loop and I was frustrated, but I now chalk it up to my loathe for change. By day two, I had gotten my bearings and this led me to acknowledge that the event layout was actually brilliantly conceived this year. 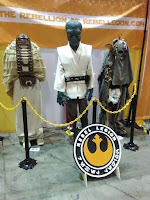 Celebrity panels, cosplay-related workshops, and similar were all essentially confined to one extended hallway, while anime-themed workshops and events were clustered throughout the hallway on the opposite side of the building. In-between, the main convention floor sprawled out into a well-organized sectional grid of artists, tattooists, crafters, comic shops, collectors, clothiers, and more, with a notably increased, diversified presence of food and drink options lining the walls or corners of the main space, as well as centralized locations in the endcap hallways. This was the first time I actually took advantage of the food and drink options, as it seemed that there were many more choices, shorter lines (due to the increased options and vendors), and semi-reasonable price-to-portion selections. It was, however, still a little daunting to find seating after getting your food. Another change worth mentioning involves MegaCon staffing. 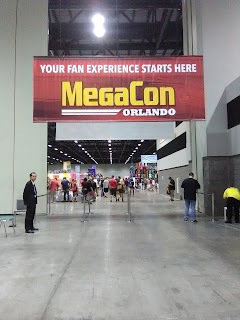 The usual crew of "volunteers" that provide the bulk of the guest-level service and floor coverage are now technically hired by MegaCon to work the event. 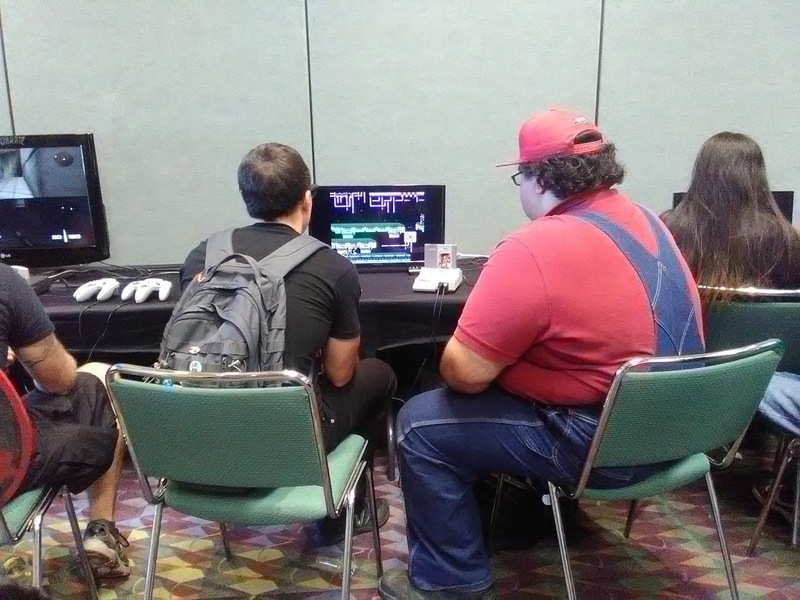 Personally, I didn't notice this having any real effect on their functions or roles, but it did feel like there were less people working the event. 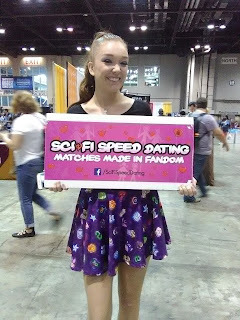 To be completely blunt, MegaCon staffers are hit or miss. I've experienced amazing service and thoroughly enjoyable conversation from some, and I've experienced awful attitudes, confusion and cluelessness from others. It's just like any customer-representatice interaction - some are stellar, and some disappoint. The only staffing(ish) change that genuinely left an impression was the absence of MegaCon's most beloved panel host and emcee - Marc B. Lee. 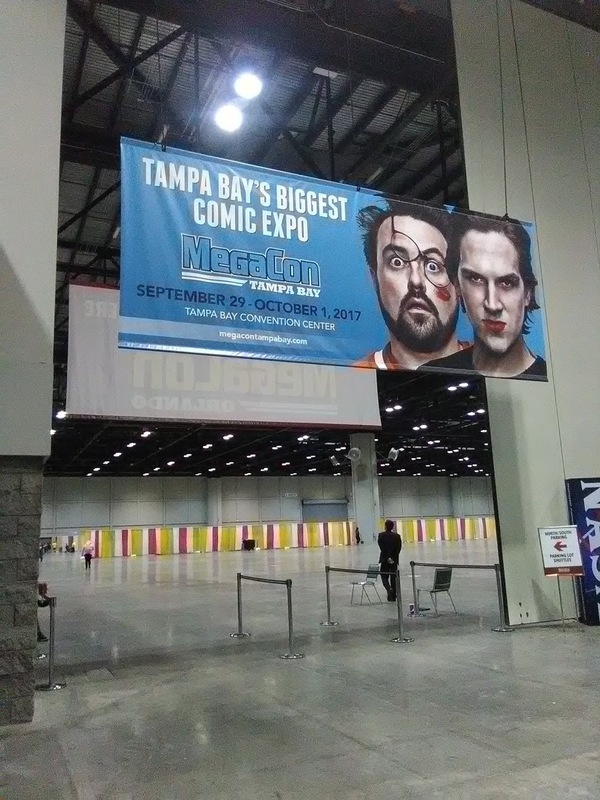 I have no insight into Marc's lack of involvement in the event, but considering that he is one of my favorite aspects of MegaCon, this did hit me in the feels a bit. If you missed MegaCon Orlando - start planning for next year... OR, keep your eyes open for announcements related to MegaCon's second annual Tampa Bay event, scheduled for September 29 - October 1. For more information, follow MegaCon Orlando on Facebook, Twitter, and Instagram, OR MegaCon Tampa on Facebook, Twitter, and Instagram. For the latest news, or to buy tickets, visit MegaCon Orlando or MegaCon Tampa. Check out our full MegaCon 2017 photo album here.